"With the news that Black Sabbath’s Tony Iommi has been diagnosed with the early stages of lymphoma, his bandmates would like everyone to send positive vibes to the guitarist at this time. 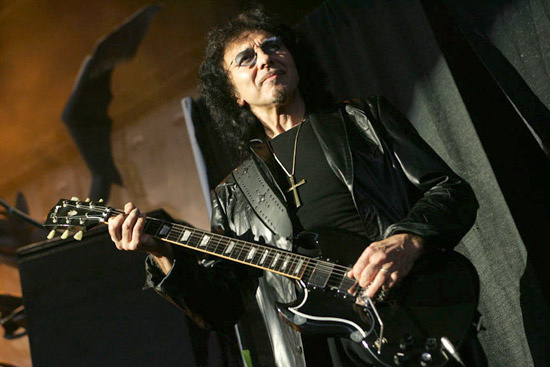 Iommi is currently working with his doctors to establish the best treatment plan--the “IRON MAN” of Rock & Roll remains upbeat and determined to make a full and successful recovery." Our thoughts are with Tony, his friends and family, and we wish him a speedy recovery. The news comes just after Black Sabbath's original line-up have reunited to write and record their first album in 33 years. They've been working in LA with Rick Rubin, but Ozzy Osbourne, Geezer Butler and Bill Ward are now planning to head to the UK to carry on working with Iommi.